IN THE LAST LESSON we reviewed the importance of optimal detoxification for UltraWellness. Next we will review how you can turn up your metabolic engine and boost your energy. Are you tired and worn out? Do you feel burned out and have sore muscles, fatigue and brain fog? You might have metabolic burnout! Imagine if you could find a way to tune up your metabolism, to increase the amount of energy you have, to be able to think clearly and feel less achy! Imagine if you could prevent diabetes, heart disease, Parkinson’s, and dementia. Imagine if you could heal fibromyalgia and chronic fatigue syndrome. Imagine if you could get to the root of aging and slow the whole process down and eliminate most of the age related diseases. All that is possible by giving yourself a metabolic makeover; a metabolic tune up. You might have heard of the rats fed high doses of resveratrol, the red phytonutrient found in red wine. They lived thirty percent longer while eating a bad diet. In fact they even became fitter and lost weight without changing their diet and eating the equivalent of the standard American poor quality diet. How could they eat more, eat bad food, not exercise, become fitter AND live thirty percent longer than the average rat? The resveratrol protected and improved the function of the mitochondria through its effects on special master aging genes. OK, so what are mitochondria and what do they have to do with having more energy, losing weight, and living to 120 years old without any disease? Everything. It is a little tiny factory that turns food and oxygen into energy. In each cell there are hundreds to thousands of these little energy factories. They exist in greater amounts in active organs and tissues, like the muscles, heart, and brain. This is where your metabolism is happening. What do mitochondria have to do with boosting your energy, losing weight and living to 120? Everything. When they are not working properly, you suffer all the symptoms of low energy: fatigue, memory loss, pain, rapid aging, and more. Along the way, many things can go wrong that may impede your metabolism, make it run less efficiently, or practically shut it down. Fatigue is the most common symptom of poorly functioning mitochondria. We need to keep them in top shape. The reason we poop out as we age is the constant insult and injury we give our mitochondria. We have over 100,000 trillion of these powerhouses in our body, and each one contains 17,000 little assembly lines for making ATP, our major fuel. They use over ninety percent of the oxygen we breathe. They take up forty percent of the space inside the heart cells. The only problem is they are very sensitive to damage. And the injury is from uncontrolled oxidative stress, which results from toxic insults, infections, allergens, stress, and just eating too much poor quality food. Dr. Bruce Ames, the renowned scientist from the University of California at Berkeley, has spent the last decade discovering how we can give ourselves a metabolic tune up. In one study he gave old rats who were tired, wouldn’t get on the treadmill anymore, and couldn’t find the cheese in the maze, or swim very far, two molecules that boost metabolism, that make the mitochondria run better. They are alpha lipoic acid and acetyl-L-carnitine. Overnight these rats became young rats. They got up on the treadmill themselves, swam long distances without fatiguing and could easily find the cheese in the maze like young healthy rats. How could that happen? Well, he simply gave the cells the raw materials they need for optimal function. As we age, our metabolism burns out from a lifetime of damage and insults. So again, the way to get healthy, the way to UltraWellness is very simple. Ultimately the goal of UltraWellness is to give everyone a metabolic tune up. First, find the things that damage your metabolism and mitochondria. And second, give your body the things that help the mitochondria function optimally. These little energy factories are sensitive to insults. They are not well protected and easily damaged by toxins, infections, allergens, and stress. But the biggest insult over time is eating too much food, too many “empty calories”. When the food is burned or metabolized with oxygen in the mitochondria, waste is produced in the form of free radicals that create a chain reaction of rusting or oxidation. So when we eat empty calories, meaning sugar, flour, and processed foods that don’t have the antioxidant levels of colorful plant foods like fruits and vegetables, we produce too many free radicals that destroy our mitochondria and produce fatigue, metabolic burnout, and all the diseases of aging. Imagine that a slow, progressive process of deterioration that contributes to, or is the cause of, practically every known disease is occurring inside of you at this very moment. It is the result of dietary choices, lifestyle habits, stress, and environmental exposures. Imagine also that you have the antidote. This process of deterioration is called oxidative stress. It is part of the inevitable entropy, or chaotic breakdown, that is the basic principle of life, like an orderly house that inevitably becomes disorganized, requiring regular attention. We are familiar with the process—it is the rust on our car, the brown color that appears on an apple when opened and exposed to air, and the rancid vegetable oil in our cupboard, even the wrinkles that form on our skin and sunburn. What we don’t realize is that our own tissues are rusting, our own fats are going rancid, and our brains are melting as we go about our daily life. What starts this process is some insult—too many calories, smoking, a sunburn, exposure to toxins, anti-nutrients, sugar, and more – that tips the balance starting a chain reaction of cellular and tissue damage. The system is called the REDOX system, after the chemical process of REDuction and OXidation. Reduction is the neutralization of damage from oxidation or rusting. But oxidation is not all bad. In fact, our white blood cells kill bacteria and viruses by releasing hydrogen peroxide and other compounds we call free radicals. These radicals are not a left wing political group, but unstable electrochemical molecules that are missing an electron, which makes them unstable and “lonely.” They bump into neighboring molecules and steal an electron, making them, in turn, unstable, thus triggering a chain reaction that leads to disaster. This is the process we call oxidative stress. Much of the damage we experience as disease is the end result of oxidative stress that occurs in the mitochondria, the energy powerhouse of the cell. In fact, one of the biggest generators of free radicals is the burning of food in the mitochondria. Free radicals are the metabolic waste products from turning food into energy. Toxins, infections and allergens and even junk food also can create them. The bottom line is the more free radicals we make, the less energy we produce because we damage the cells ability to make energy in the mitochondria. The ultimate loss of energy is death. This is why over consumptive/under nutrition or eating too many calories and not enough nutrients is at the heart of so much illness. We eat too many calories and anti-nutrients, but not enough antioxidants from our food to compensate. It is why the only proven method to prolong life is calorie restriction. Getting our redox system back into balance and protecting our mitochondria is the key to optimal health and a vital, energetic old age. Much research has been done on antioxidants and disease, and the results are mixed. We are used to looking at things through the wrong model. Studying a single anti-oxidant that we isolate from food, like beta-carotene, is completely counter-physiologic. If fact, it underscores the fundamental lack of knowledge by most doctors about nutrition and the redox system. We are looking for answers based on the drug model—a single drug, a single effect, a measurable outcome. You give a pill for high blood pressure and the blood pressure goes down. Studying oxidative stress is completely different. First, antioxidants are part of an overall team that controls and manages the excess free radicals we produce. You couldn’t put Michael Jordan on a basketball team by himself and except him to win a championship. Why would we expect that one antioxidant alone could do any benefit? In fact, you could guarantee that Michael Jordon would lose EVERY game if he played by himself. Second, by definition, any anti-oxidant becomes an oxidant. In other words, the anti-oxidants work by giving up one electron to neutralize the free radical, and then by definition they become a free radical. They in turn need to be neutralized by another free radical, down a chain like a hot potato, until they are finally neutralized by the mother of all antioxidants, glutathione, which can be recycled and restored. This is why studies show that beta-carotene can increase cancer, or vitamin C may cause DNA damage. In addition, some of the most powerful antioxidants are not in vitamins and minerals, but in food, such as the proanthocyanidins in grapes and berries. This provides an important lesson. 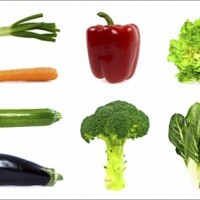 We should obtain the bulk of our antioxidants from food—namely whole, real, unprocessed plant foods. And we should take antioxidants as a team, not individually. Whew! That’s a lot of biochemistry and physiology, and I really wouldn’t go into so much detail if it weren’t so important. In the next and final lesson, I will explain how important the role of the mind/body, body/mind relationships are for your well-being and health.